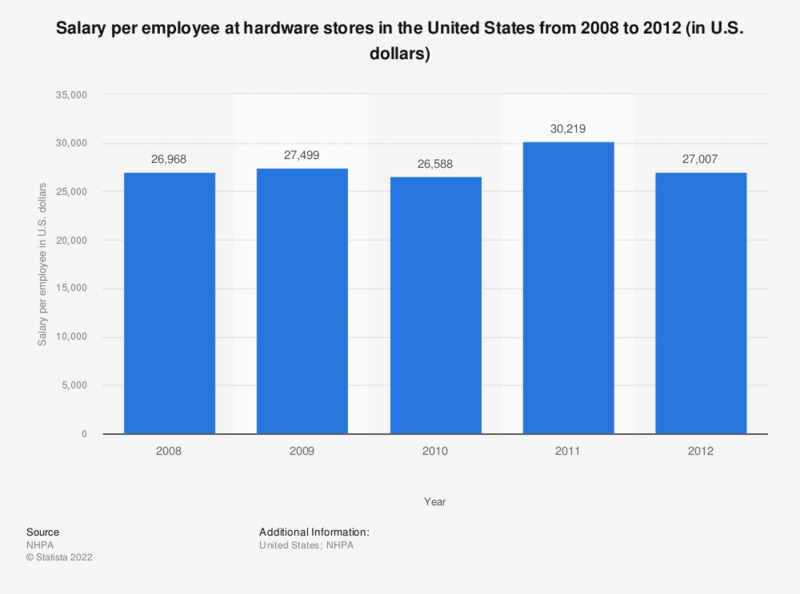 This statistic depicts the salary per employee at hardware stores in the United States from 2008 to 2012. In 2012, on average, each employee that worked at a hardware store in the United States had a salary of about 27 thousand U.S. dollars. Figures based on responses to annual Cost of Doing Business Study.